A young girl, on the cusp of womanhood, loses herself to the mean streets and cabarets of 1930s Berlin and becomes embroiled in a plot to gain secrets of the Allied invasion in this thrilling new novel. After escaping her abusive stepfather as a teenager, Carla Offenbach found sanctuary in Berlin. Years later, Carla is a woman of great wealth, the owner of one of the most wildly successful cabarets in Berlin, a city glittering with bright lights and lavish, carefree parties. But when the realities of war in Europe finally cast a shadow over Berlin, the German people are forced to retreat into their homes, leaving Carla no choice but to close the doors of her establishment. In a desperate attempt to save her own life and livelihood, Carla finally gives in to the brutish demands of her most devoted patron, Nazi party minister Reichsleiter Martin Bormann, a terrifying and ruthless man who dreams of succeeding the Fuhrer Adolf Hitler. Carla, who has always vehemently disagreed with Nazi politics, now finds herself in league with Bormann, as part of his secret military unit. At the behest of Martin Bormann, Carla is tasked with planning and executing the capture of Marine General Roger Collum, the youngest member of General Dwight D. Eisenhower’s senior staff, a man who attended the meeting that set the final dates and locations of the Allied invasion. With a bright military career ahead of him, Collum has spent years in India, perfecting his revolutionary designs for the Allies amphibious landing craft, during which time he also was a student of Kundalini yoga. Knowledge of this ancient yoga guides him to make the startling decision to give up the invasion plans the Germans so desperately need. Carla soon finds herself in a dangerous love affair with the very man she was given orders to capture, as the plot charges to a surprising finale. Michael Williamson’s exciting novel Secret Betrayal follows Carla and Collum in a heart-stopping journey through a world torn apart by war. Well-researched and full of adventure and intrigue, Secret Betrayal explores the redemptive power of love, even in times of unimaginable personal suffering and sacrifice. Fans of romance, adventure and historical fiction are sure to enjoy Williamson’s gripping novel. 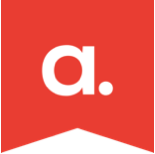 About the author: Michael Williamson was born and raised in Southern California and currently lives in Bozeman, Montana. When he is not writing, Williamson spends his time ranching. His next novel, Now is Forever: Indochina, the first in a series, will be released next fall. 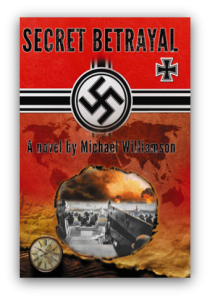 Secret Betrayal by Michael Williamson (published by Experion, RRP $14.99 paperback, RRP $26.99, hardback, RRP $3.99 ebook) is available online at retailers including amazon.com and iTunes.com, and can be ordered from all good bookstores. For more information, please visit www.experioninst.com.